My favourite storm year to date and the very year which got me hooked on storms and weather photography. Includes 5 full accounts. 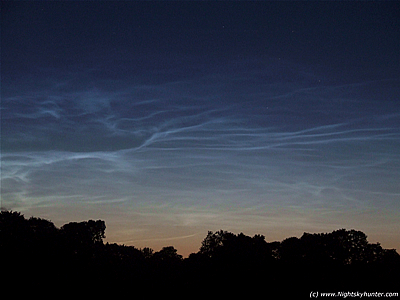 This page includes several thunderstorms, crisp convection, mammatus displays and a direct link to the 2007 Noctilucent Cloud Gallery. The main highlights were 5 funnel clouds, including one which came close to touching down as a tornado which warranted a site investigation by TORRO. 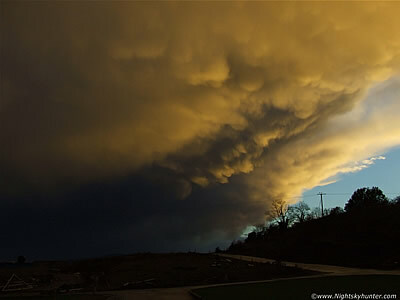 A spectacular golden Mammatus display passed over Maghera on Oct 28th 2007 before sunset producing the best display I have witnessed to date. This was produced by a passing cold front which kicked off some nice convection and even several lightning flashes. A friend and I observed the sudden display during its swift passage over my home. One page report with 8 images. - REPORT. A nice surprise took place on the mild afternoon of July 21st 2007 when a small cold core funnel cloud appeared from the base of a towering cumulus updraught with strong rotation in the northern sky in the Maghera countryside. 5 images and 1 video clip. - REPORT. 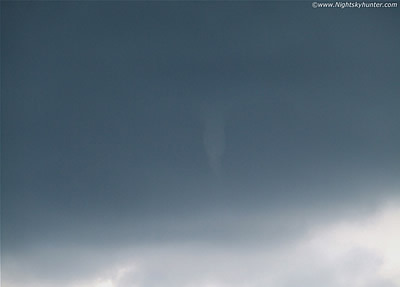 Read the report and view the images of the spectacular July 17th 2007 Funnel cloud and possible tornado which Conor McDonald, his girlfriend Christina and I observed from near my home at Maghera during a great thunderstorm outbreak. This was an incredible day which changed my life and which steered me with tremendous passion toward severe weather photography. 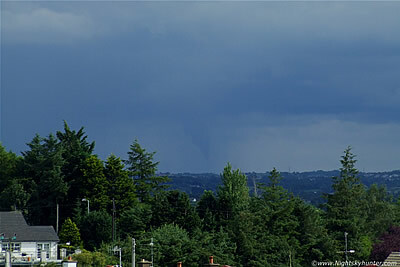 This large funnel came close to touching the ground over the Ardboe area near Lough Neagh and becoming a Tornado which resulted in a three day site investigation by TORRO. Even years later this still ranks as one of my most exciting weather experiences and still the best funnel I have seen to date. One page report with 19 images. - REPORT. My first ever storm!. 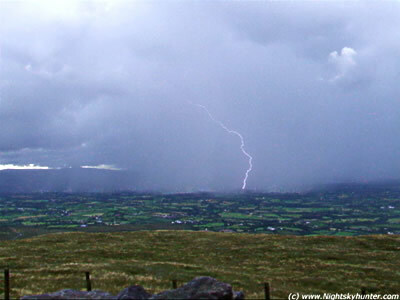 This was the best thunder and lightning storm during the Summer of 2007 which took place during daytime on July 16th. This was a very successful day when Conor Mc Donald, his girlfriend and I chased this storm from Maghera to the top of Slieve Gallion encountering dangerous close range c-g lightning striking the ground, intense hail cores, mammatus and my first ever lightning bolts caught on video, from this day on I became hooked on storm chasing. 24 images 1 video clip - REPORT.